Put the sliced strawberries in a small bowl and sprinkle them with the balsamic vinegar. Leave them to marinate for about 5 minutes. In the meantime,toast the whole wheat bread slices. Cut the fresh avocado in half and remove the pit. Cut it into cubes and put in a bowl. Add the juice from the lemon and pinch of himalyan salt. Use a fork to mash the avocado and mix everything well. Spread the mashed avocado on the two slices of bread. 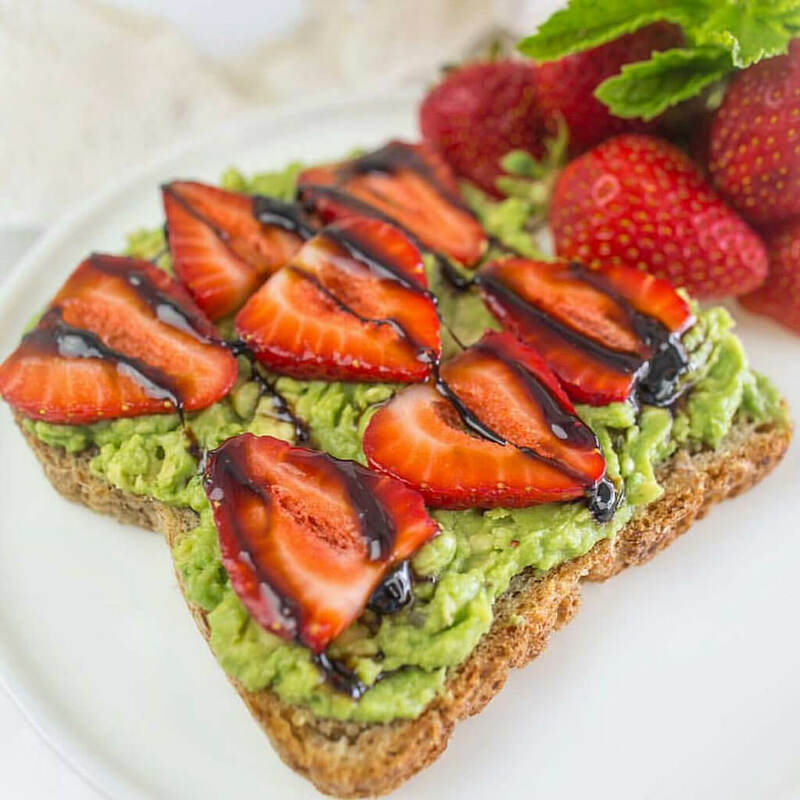 Place the marinated strawberries on the top and sprinkle with fresh chopped basil,hemp seeds and black pepper. 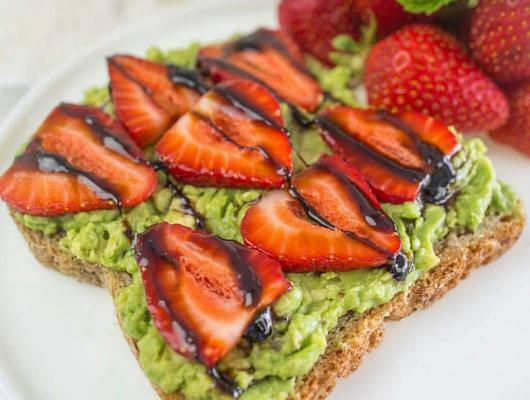 An incredible sweet-salted creamy combination of fresh avocado,large Himalayan salt and sweet strawberries.Delicious bites for starters or main dishes which take only few minutes to prepare and make.This is one of the most famous breakfast around the world.It’s healthy,tasty,yummy and has many other health benefits.This avocado toast is so simple,light and easy to make.You can make it in the busy mornings when you have to go for work or training and don’t have much time to cook breakfast.It’s really fast meal.Also you can prepare it in the night before and when you wake up,take it and go.There are so much different types and variations of avocado toast.